If your manufacturing plant produces scrap metal chips and turnings, you understand the challenges of moving the scrap from one place to another. The right chip crusher system can help you streamline a scrap operation and boost its profitability by collecting metal filings quickly and transporting them seamlessly from your machine to a briquetter or compactor. At Applied Recovery Systems, we offer a complete line of scrap handler equipment, including metal crusher machines, conveyors, shredders and dumpers. You can equip yourself with an integrated chip handling system that's designed specifically for your facility, making this process more productive and less costly. A good choice for chip processing systems where material metering is possible and solids are present, the ring crusher is the least expensive way to remove solids from among nested turnings in a chip handler. The ring crusher presses scrap material against a grate and cuts it down to a size that will fit through the grate. Any solids that cannot be pressed through the grate are sent out through the solids ejection chute. From a simple take-away system for briquettes to a more complex system for conveying chips and cutting oils from machine tools, our steel belt conveyors can be designed to meet the demands of your chip processing system. For material that can be shaken apart but tends to "snowball" when tumbled, we offer an optional ram feed assist. With every cycle, the ram feed forces material ahead of the gather ram to ensure a full load in the chamber - a valuable processing system for chips under four inches long. Ideal for crushing turnings into a flowable form, the vertical axis metal chip crusher is self-metering and rejects solids. 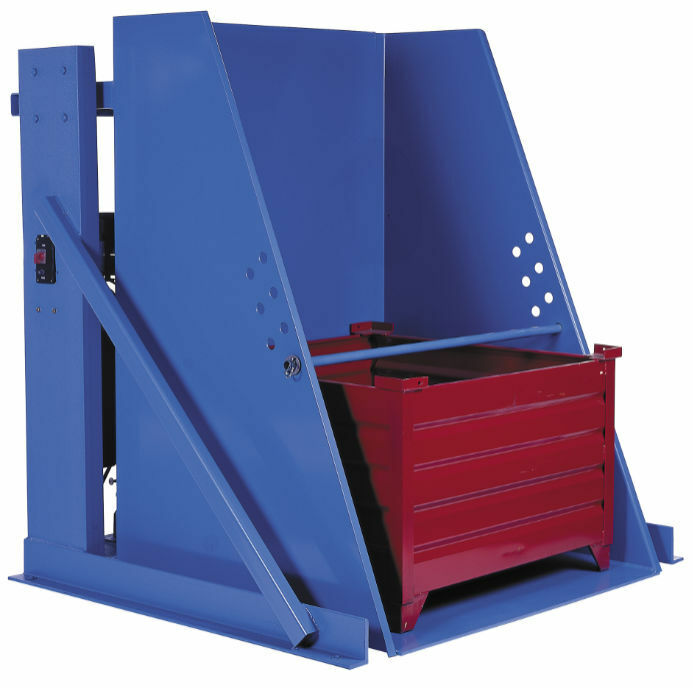 This simple, easy-to-use scrap handling system will save you time and money. Integrated into scrap handler systems, hydraulic cart dumpers elevate carts or bins, and dump material either into the briquetter hopper or a vertical axis crusher. We also can provide you with chip conveyors, crushers and other metal chip processing equipment. Contact us to learn more about how an ARS scrap metal crusher machine can help your industrial operation.